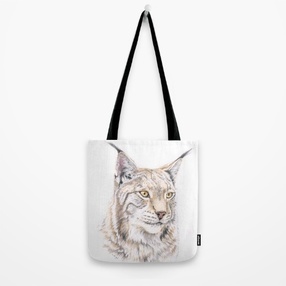 Stickers, scarves, mugs, tote bags, framed artwork, duvet covers and more products are printed with my artwork on RedBubble. I ordered the "Lazy Kitties" scarf and I couldn't be happier with the fabric and print quality. ​Order from my shop and RedBubble will ship it directly to you! Now you can get prints of my work on high quality unique products ranging from prints, cutting boards, coasters, tote bags, iPhone cases, metal prints, carryall bags and throw pillows to name a few. You can shop worldwide! Your purchase pays an artist. We thank you for your support! Seaside Creations is a quaint little shop on Bailey Island, Maine. They carry all local handmade products. My work there includes lampwork beaded jewelry and sea glass/antique bottle stained glass panels. The drive from Brunswick to Bailey Island is so worth the trip! Open from May through November. Click on the link to visit my on-line store at Etsy.com. Set up a free Etsy account to place an order. 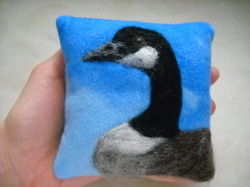 I'm focusing on felt creations in my Etsy store now. My Etsy store is currently on hold.